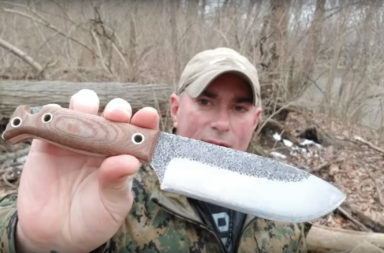 Lynn C. Thompson (the President and founder of Cold Steel), a lifelong Martial Artist who trains martial arts at least 16 hours a week, designed the Cold Steel Thompson Voyager. 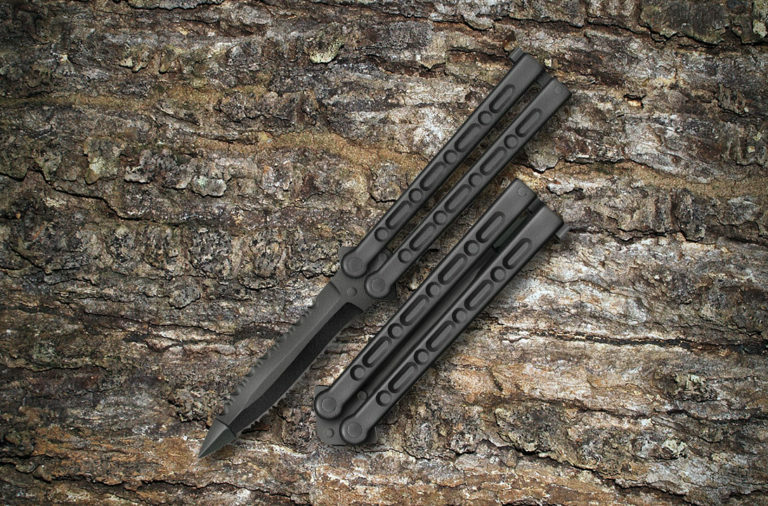 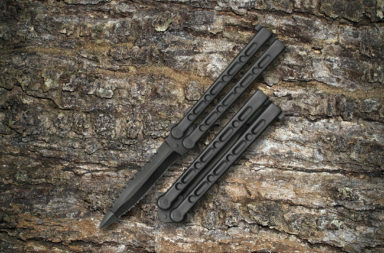 The unique design draws on Thompson’s years of experience as a martial artist and knife maker and is truly a valuable martial arts tool. 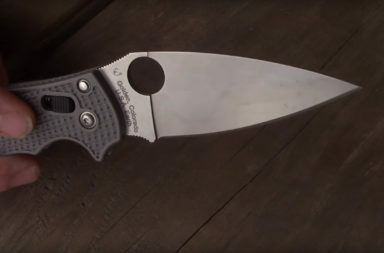 The CTX-XHP blade features a unique shape that stands out when compared to most other knives on the market. 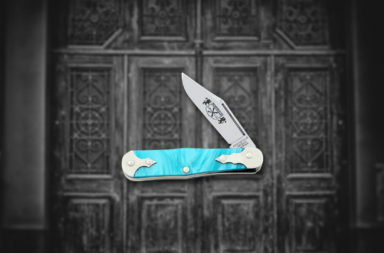 It has the broad belly and the sweeping curves of a kukri, but also includes the prominent piercing tip of a dagger. 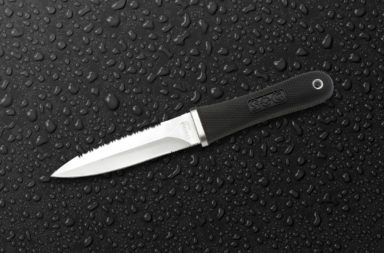 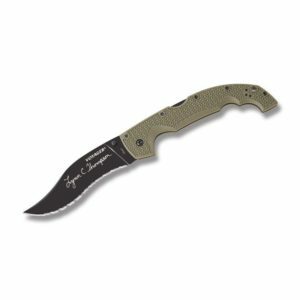 The edge is Cold Steel’s signature “grip n’ rip” serration pattern, which are designed to shred through dense materials that other knives struggle with, like jackets and rope. 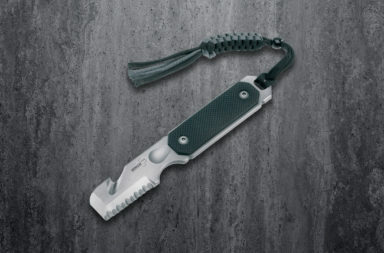 The handles are made from durable and lightweight Griv-Ex. 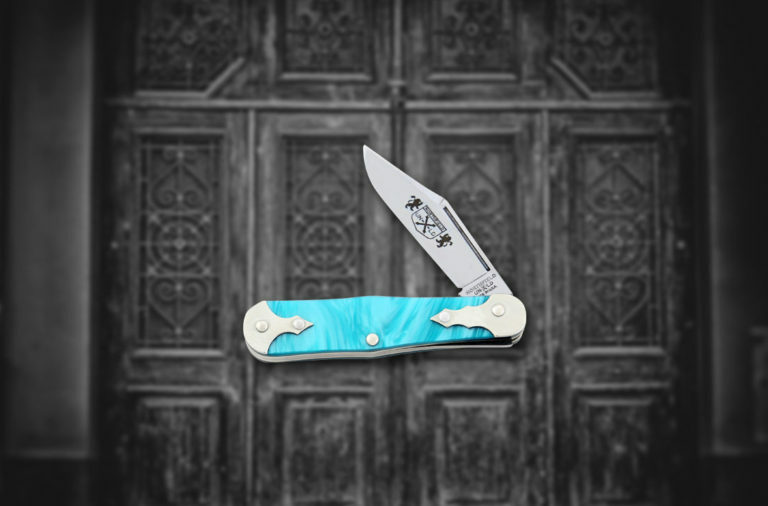 The shape is unique and is designed to be used with either hand or both hands at once. 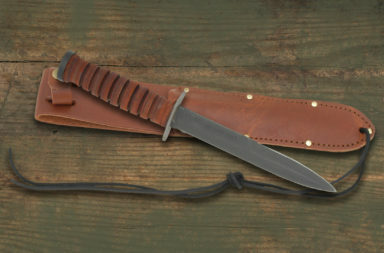 Thompson designed the handle to transition easily from position to position. 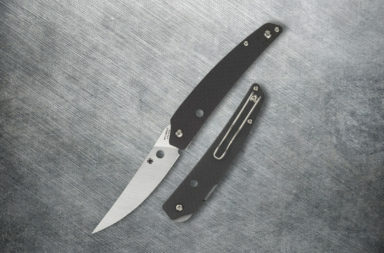 The blade opens easily via ambidextrous thumb studs and locks into place with a familiar liner lock design. 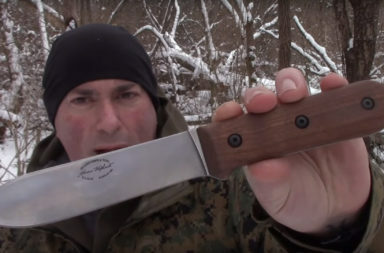 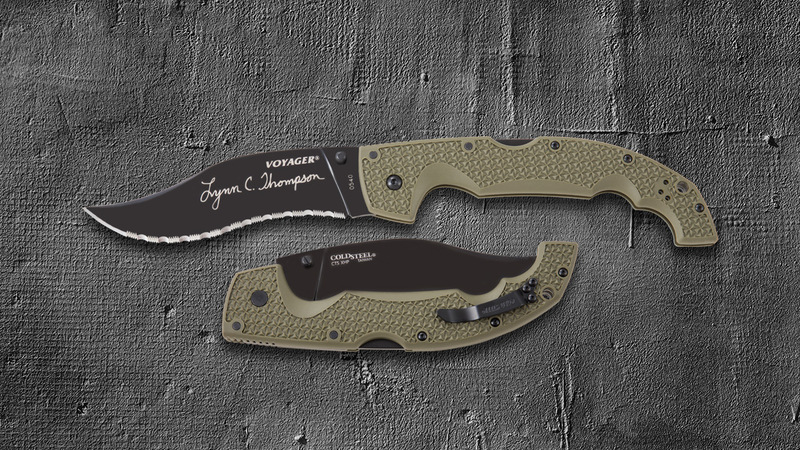 The Cold Steel Thompson Voyager is built with one thing in mind – martial arts. 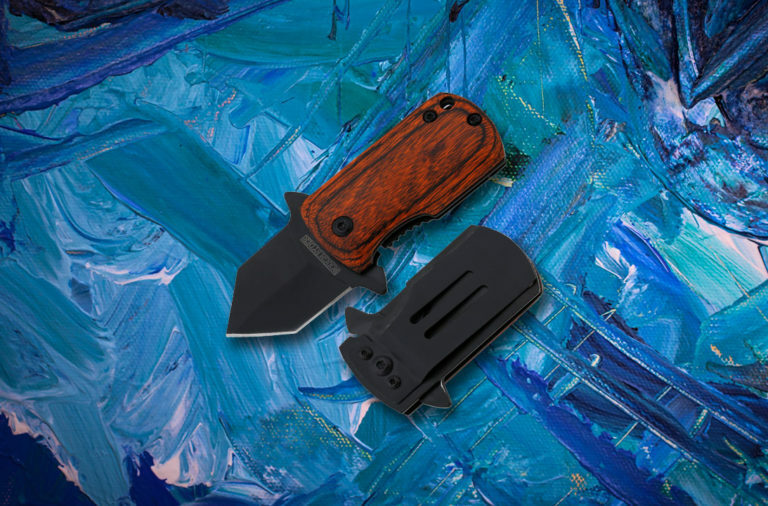 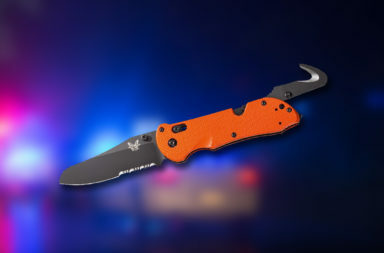 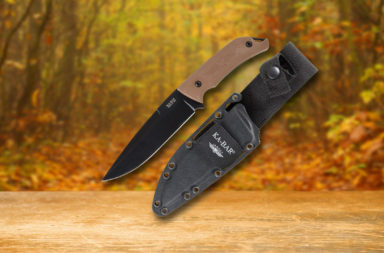 Every feature from the fully serrated blade to the two-handed handle shape was built for maximum versatility in the field. 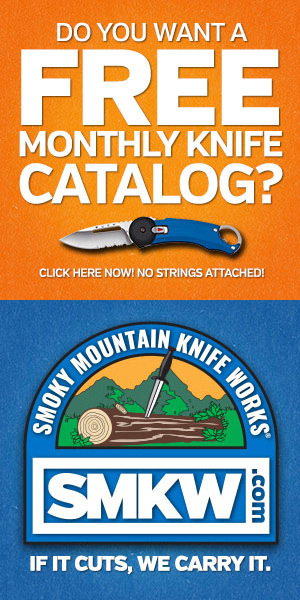 You can check it out by simply clicking the button below.